A Hundred Jumping Devils is saxophonist Rob Reddy's fifth studio album, after a five-year recording hiatus. His new ensemble, Gift Horse, reconvenes some of his regular sidemen, including legendary violinist Charles Burnham and longstanding bassist Dom Richards, both featured on his previous release, Seeing By The Light Of My Own Candle (Knitting Factory, 2001). Percussionist Mino Cinelu, French horn player Mark Taylor and guitarist Brandon Ross join this new lineup, whose distinctive combination of strings and horns is a recurrent theme in Reddy's ensembles. An advocate of the term "New American Music," Reddy blends Appalachian folk tunes, blues, marches, processionals, reels, hymns and similar forms into his singular style. The presence of Mino Cinelu's polyrhythmic percussion adds a distinct Latin element to the album's liveliest numbers, a new twist in Reddy's oeuvre. Reddy's sonorous writing is multi-layered and accessible, drawing from traditional forms such as gospel and folk tunes for inspiration. Yearning horn swells, plaintive, sweeping strings, expansive themes, and a fondness for propulsive undercurrents inform Reddy's eclectic arrangements. A democratic bandleader, his chart-driven compositions are thorough but not restrictive, allowing his sidemen ample time to make their own statements, both individually and collectively. Creating a unique blend of vivid timbres and rich instrumental textures, Gift Horse explores a wealth of harmonic colors. Reddy is a lyrical stylist; his tart tone and serpentine phrasing is expressive, but never histrionic. Mark Taylor's dulcet French Horn pairs beautifully with Charles Burnham's sinewy violin. Guitarist Brandon Ross employs a variety of approaches, from bluesy, down-home acoustic strumming to coiling, electric bop runs. Dom Richards has been Reddy's bassist for the past decade, and his stalwart contributions anchor the ensemble with knowing conviction. Percussionist Mino Cinelu brings a multihued mix to the group, from scintillating asides to hypnotic rhythms. 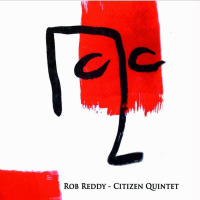 Reddy is an impressive and open-minded tunesmith, whether penning punchy samba riffs ("O-Brasil") or winding melodies filled with rich harmonies and subtle counterpoint ("Abraham"). He alternates between lilting, buoyant motifs ("The Unnamable") and glacially paced dirges ("One") with ease, always putting his own personal stamp on the proceedings. A lush and evocative record, A Hundred Jumping Devils stands tall in Reddy's discography. It's good to have him back. 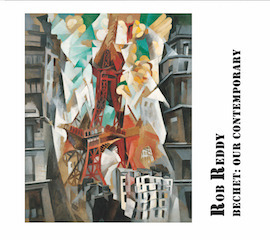 Visit Rob Reddy on the web. 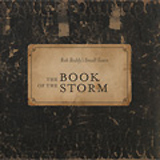 Track Listing: Hymn For The Insurrection; The Unnamable; Procession; A Hundred Jumping Devils; Mark Of Sincerity; O-Brasil; Gabriel's New Horn; Abraham; Solipsism; One (for Jef). Personnel: Rob Reddy: soprano and alto saxophones; Mark Taylor: French horn; Charles Burnham: violin; Brandon Ross: acoustic and electric guitars; Dom Richards: double bass; Mino Cinelu: percussion.